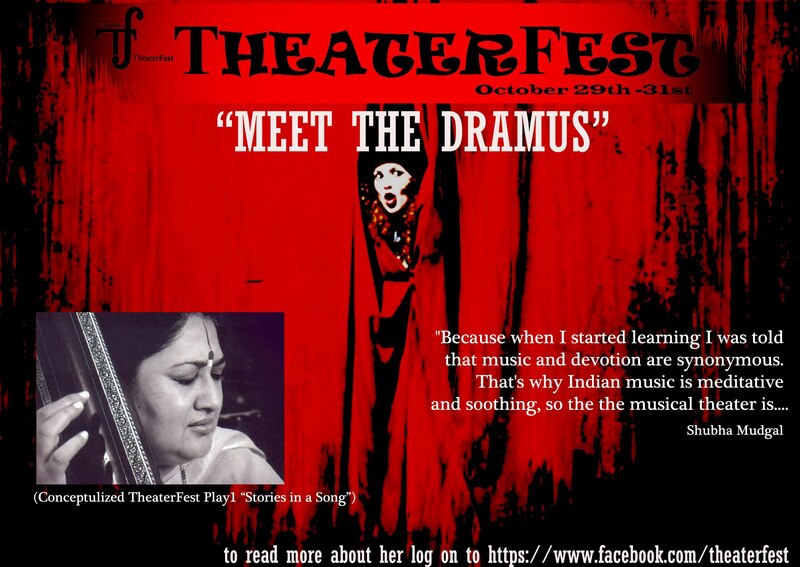 ← TheatreFest-2012 – Back with a Bang ! Kohl-lined eyes, trademark tikka, minimal accessories, elegant sari, hair neatly plaited and an ear-to-ear smile, quite unlike her multi-layered music, Shubha Mudgal the person is plain and understated. But put her before the mike and she at once acquires a striking persona. It’s all in her full-throated voice. It’s the voice with a cross-generational appeal. It’s the voice that comfortably traverses genres. It’s the voice that oozes sensuousness and emotion in the switch of a tune. So, you can hear a classical thumri or dadra, a hard-rocking “Ab ke saawan”, the resonant “Ali more angana” or a moving “Pyar ke geet”. A post graduate in music and trained by several gurus, including Pandit Vinay Chandra Maudgalya, Pandit Jitendra Abhisheki and Pandit Kumar Gandharva, Shubha scaled the musical charts with her album “Ali More Angana” in 1996. “Though it was talked about a lot, it was certainly not my first album as many think. I had done enough classical work before (since 1986), which were well received. Anyway I didn’t get carried away by all the attention as the album was just an extension of my artistic endeavours.”Her foray into the field of popular music was quite incidental. Shubha has done extensive research in ancient and medieval music, particularly bhakti sahitya to know how it can guide and add depth to sangeet. “Because when I started learning I was told that music and devotion are synonymous. That’s why Indian music is meditative and soothing. This is one of the reasons why I took diksha into a Krishna sect. The importance they give to music is absolutely moving. They make two kinds of offerings to the Lord – bhog seva and raga seva. This tikka, which many see as a stylised bindi, is a symbol of belonging to this group,” says this first generation musician, whose parents taught English at the Allahabad University. Though her world revolves around melody, she is an avid sari collector and a foodie, who savours all kinds of vegetarian preparations. Khana or gaana, Shubha Mudgal prefers a delicious variety. Aside | This entry was posted in Home. Bookmark the permalink. Nice post and a nice blog. I look forward to your Theatre Fest. Anyway, have fun! All the best IIT-B!